Catering by TJ's on Cedar! 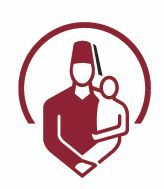 Our main goal is to support Shriners International and Shriners Hospitals for Children. TO HELP US SHOW OUR KIDS THE LOVE!